The University of Michigan (also known as U of M, U-M, UMich, or Michigan) is located in Ann Arbor, Michigan, USA, but it also has satellite campuses in Flint and Dearborn. It is the oldest university in Michigan. UMich is a founding member of the Association of American Universities and one of the original eight Public Ivy universities. A public, research university, it has been ranked as one of the top five US research universities and in the top 20 for universities worldwide. It was even ranked as the 4th best university in the entire world. UMich was founded in 1817 in Detroit. It was founded as the Catholepistemiad, or University of Michigania. This was back when Michigan was still a territory (it became a state 20 years later). Today, UMich occupies over 712 acres and includes over 584 major buildings. The site had a lot of student activism through much of the 1960s. UMich has transformed from its early strict classical curriculum to include research and science. In fact, UMich has one of the biggest research expenditures of any university in the nation. In 2011-12 it passed the $1.24 billion mark. It also has one of the biggest alumni groups in the world with over 500,000 in 2012. It owns the University of Michigan Health System. UMich also has comprehensive graduate programs offering doctoral degrees in the social sciences, humanities, and STEM fields (Science, Technology, Engineering, and Mathematics) in addition to their professional degrees in dentistry, law, and medicine. See the degree programs that are offered at University of Michigan-Ann Arbor. See the distance education degree programs that are offered at University of Michigan-Ann Arbor. 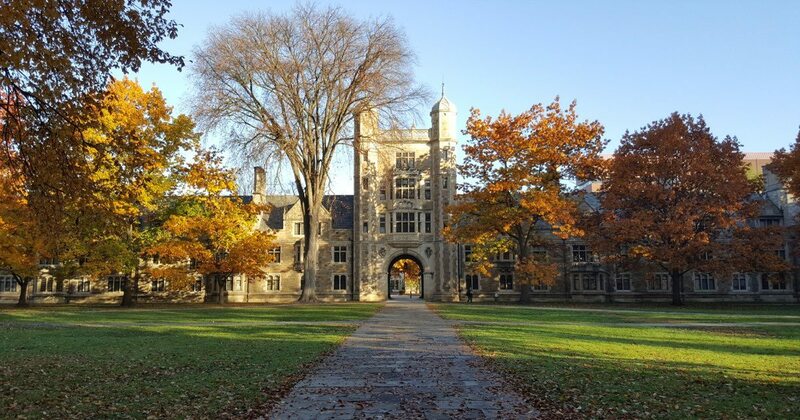 See what it costs to enroll at University of Michigan-Ann Arbor and how many students are receiving scholarships, grants, or loans as financial aid to help cover the costs of tuition. See the admission requirements for University of Michigan-Ann Arbor. Find out how many students apply and how many are accepted. View a graphical breakdown of the gender, age, and ethnicity of currently enrolled University of Michigan-Ann Arbor students.